Developers Arrested Over Building That Collapsed In Taiwan's Earthquake : The Two-Way So far, 39 of the more than 40 people who died in the quake were residents of the Golden Dragon apartment building in the city of Tainan. Rescue workers used heavy equipment to look for survivors trapped in a building that collapsed in a magnitude-6.4 earthquake in the southern Taiwanese city of Tainan. 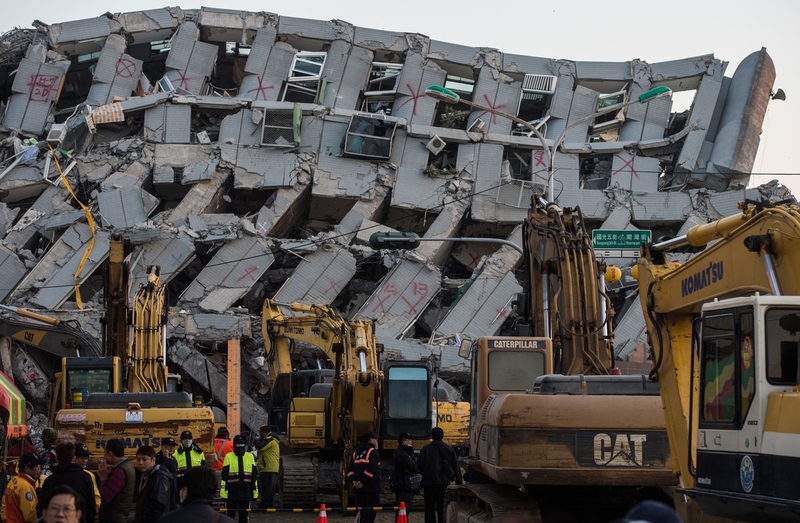 The company that built a 17-story apartment building that collapsed during Saturday's earthquake in Taiwan no longer exists, but three of its former executives have been arrested as prosecutors look into allegations of shoddy building practices. So far, 39 of the more than 40 people who died in the quake were residents of the Golden Dragon apartment building in the city of Tainan. Those figures are expected to rise, as more than 100 people are still believed to be trapped inside the building, according to Taiwan's Central News Agency. On Tuesday, prosecutors ordered the arrest of the former chairman of the now-defunct Weiguan company as well as two other executives on charges of professional negligence. "The Tainan District Prosecutors Office made the decision to take them into custody after prosecutors found that Lin, with the help of his partners, had started another company under a different business entity after filing for bankruptcy upon completion of the [Golden Dragon] apartment several years ago." 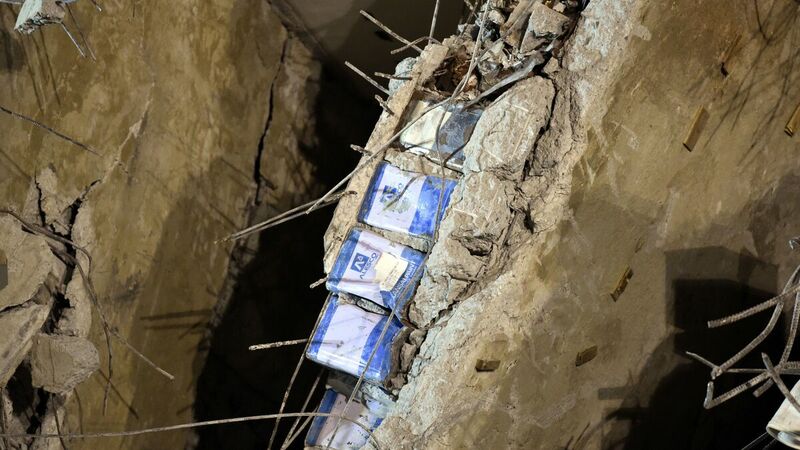 The Golden Dragon building was reportedly completed in 1994; as we reported Monday, many observers were shocked to see photos of blue cans embedded in its concrete pillars, where they had seemingly been used as filler. Blue cans, seen sandwiched between layers of concrete, are visible at the Golden Dragon complex, which collapsed in Saturday's earthquake.